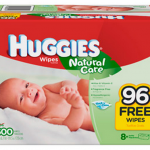 Baby FREEBIES for new moms and pregnant moms! You are here: Home / freebies / Baby FREEBIES for new moms and pregnant moms! If you’ve got a new baby or a baby on the way, having a baby changes everything! One big changes is how quickly the expenses add up between diapers, formula, and baby gear! Here are some freebies to help ease the trauma on your wallet! 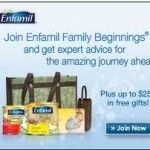 Get up to $250 in FREE gifts from Enfamil Family Beginnings® – Let Enfamil® help you nourish milestones. Join Enfamil Family Beginnings. You’ll get trusted advice for every stage of your baby’s development, plus discounts on Enfamil products, free samples and goodies, such as an Enfamil Pack ‘n Cool™. Just click on the link above to take advantage of this freebie offer! 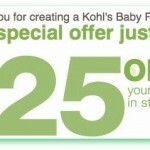 FREE Kohl’s $25 off coupon with Baby Registry! 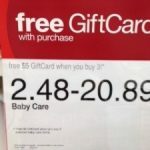 Enfamil Expecta $5 off coupon plus $250 in FREEBIES!